Did you ever play freeze tag as a child? The game where when you get tagged you become "frozen" and have to stand still until someone comes and touches you to become "unfrozen" (or thawed :)). I have felt a bit frozen these past few years. So many new changes have taken place in my life, all mostly great, but change nonetheless. I'm not a big change person. I like comfort. I'm a homebody. I like the comfort of my own home, I like eating comfort foods when I'm sad, and I love wearing comfortable clothes on a Friday night. This has become a challenge because I tend to stay in my comfort zone. I've been spending time in my devotions lately reading how God wants to do "immeasurably more" than we can even imagine. He is encouraging me to use my gifts, to step out in faith and to become fearless in some areas and yet I still stay frozen. Before I became a mom I was a kindergarten teacher and now I am a stay at home mom with my kids every day. 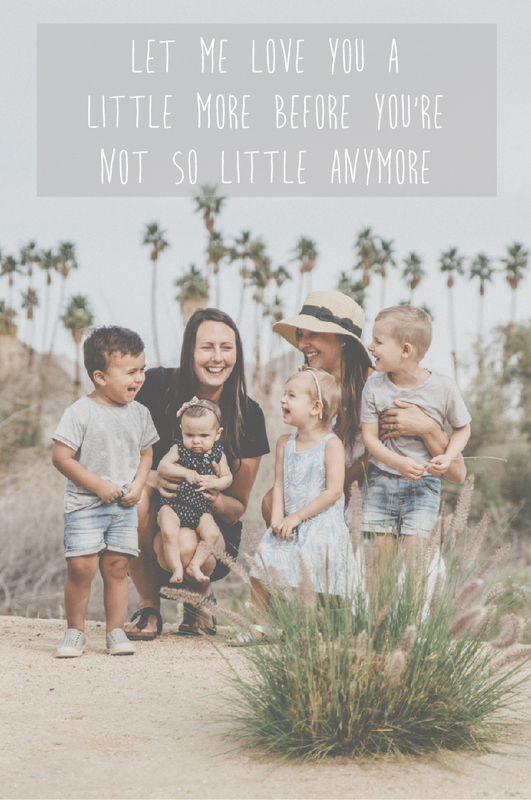 Often I use my kids as an excuse to not explore other gifts in my life - whether that be because I am tired, not enough time in the day, too busy etc., there always seems to be an excuse. And yet, I feel this pulling, this pushing, this calling from God to step out and try something new. But, I'm frozen. I am in a season right now where I know God is calling me to grow in new areas and to explore HIs calling using different gifts in my life. A friend recently encouraged me and said that she felt God speak a message to her for me saying "You are not on hold! I have not put you in a holding pattern". She went on to encourage me that she felt "He is bringing and going to bring fire, His fire to set ablaze the dreams in your heart...but start moving and stepping and He will guide you and promote you". Wow! Talk about an encouraging word! So, the ball is in my court. I need to make the first move and step into new opportunities God has for my life. I don't know what that will even look like, but I do know It's time to Let it go - right Idina Menzel :) and move into the unknown, following His prompting into a life of freedom and bravery.